The Aspire® 4540 come with AMD Turion™ II Dual-Core Mobile Processor M500, Acer® CineCrystal full HD 14.0″ (1366 x 768) high-brightness (220 nit) TFT display with LED backlighting, and provides high-quality visuals and pleasurable surround sound for your entertainment enjoyment. Built to empower, the Aspire® 4540 is light enough to carry with you and easily fulfill your everyday computing and entertainment needs. 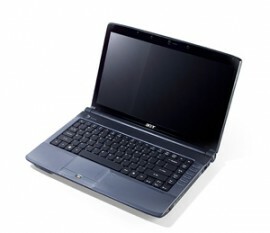 **Valid only in countries where Acer has an authorized repair facility. For a list of those countries go to http://global.acer.com/support/itw.htm. or call 800-816-2237. Services and response times may vary in countries outside the U.S. and Canada.